A curation of surgical videos sure to pique your interest. One of the greatest things about Eyetube.net is that it makes it is easy to share your cases with colleagues. Some videos show surgical successes, others reveal complications, and still others offer a close look at a new technique. Whatever the content, each video provides an opportunity to learn something new. The new Eyetube3D video channel is particularly promising, as 3-D surgical viewing systems begin to penetrate the market and continue to evolve. We would like to acknowledge all of the surgeons who have contributed videos to Eyetube this year. We thank these individuals for contributing to this valuable resource. Without further ado, below are our choices of the top 10 videos of 2017, in no particular order. Please note that we did not use an official system to rate or choose these videos. We simply chose those we felt would be of the most value or the greatest interest to the largest number of our retina colleagues. We also added our comments on some of the techniques demonstrated. You can do the same, if you wish, using the comment sections for each video. Be sure to check out these videos on the Eyetube mobile app. A permanent keratoprosthesis (KPro) can be a life-changing treatment for patients with corneal opacities not amenable to traditional penetrating keratoplasty. 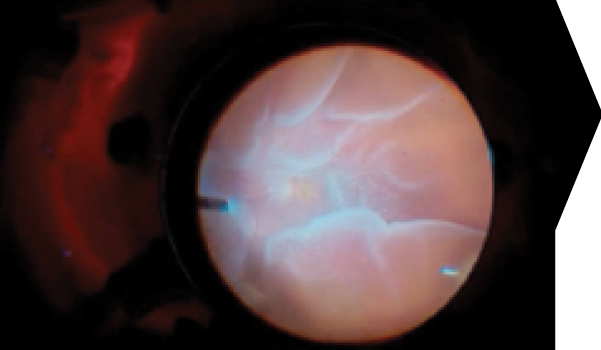 However, complications such as retinal detachment, endophthalmitis, and glaucoma can cause significant visual morbidity after permanent placement of a KPro. Prithvi Mruthyunjaya, MD, presents a case of pars plana vitrectomy (PPV) in an eye with a Boston KPro. He uses an A.V.I. contact lens system (Volk), which can be helpful to obtain a panoramic view of the posterior segment through the narrow KPro optic, although noncontact systems can also be effective. Often, retinal detachments in these eyes are combined tractional and rhegmatogenous—complex cases requiring retinectomy and silicone oil tamponade, as in this case. Of note, primary PPV during initial placement of a permanent KPro may reduce the postoperative risk of vitreoretinal complications and may also be indicated to allow placement of a pars plana glaucoma drainage device, given that there is no true anterior chamber in these eyes. There is no question that the outcomes of macular surgery have improved since the introduction of microincisional vitrectomy surgery (MIVS). 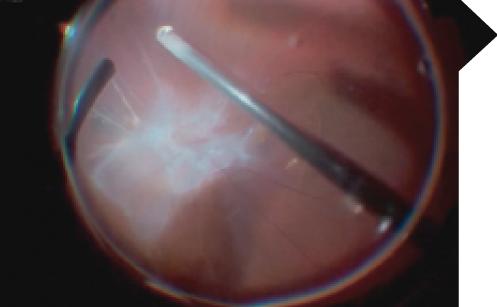 In their video, Victor M. Villegas, MD, and Timothy Murray, MD, MBA, demonstrate expert use of a 23-gauge vitrector handpiece to complete internal limiting membrane (ILM) peeling for full thickness macular hole surgery. 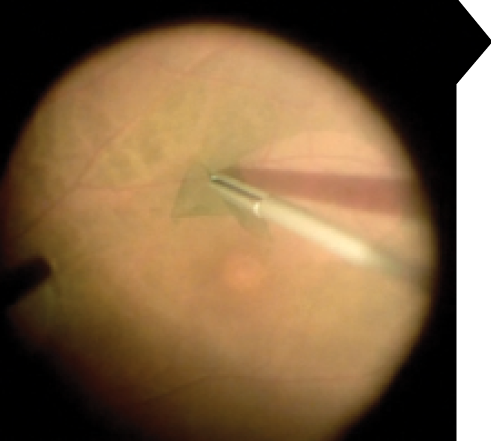 After core vitrectomy, induction of posterior vitreous detachment, and staining with indocyanine green (ICG), the vitrector handpiece on suction is used to create a point of purchase and an opening within the ILM superotemporal to the optic nerve. With the cutter still applied, the ILM is then peeled arcade-to-arcade as a single sheet, followed by air-fluid exchange and gas tamponade. This cutter-only technique minimizes the number of instrument exchanges, eliminates the cost of expensive disposable forceps, and is potentially less traumatic than a pinch-and-peel technique for initiation of the flap with forceps. Would the use of 27-gauge cutter with a smaller sphere of influence potentially make this technique even safer and more precise? Share your thoughts in the comments section of this video on Eyetube. Paul Hahn, MD, PhD, presents a complex recurrent retinal detachment repair with anterior proliferative vitreoretinopathy and hypotony. He demonstrates a nice technique to remove the anterior membranes without an assistant by placing a chandelier and using a bimanual hand-over-hand technique with two forceps. He also demonstrates a unimanual technique with the cutter, twirling the membranes like pieces of spaghetti over the cutter. Another option, if mydriasis was adequate, would be for an assistant to perform deep scleral depression. With direct visualization of the anterior vitreous base, the surgeon could then hold the light pipe in one hand and use the forceps or cutter through a cannula to access the anterior membranes. 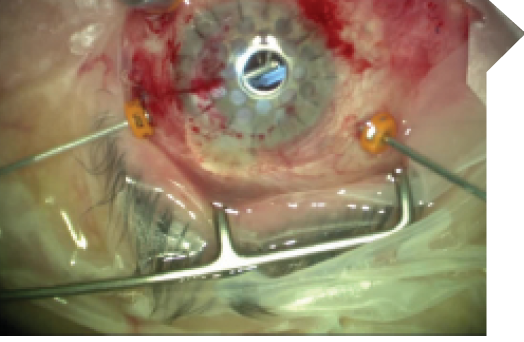 This case also includes a dislocated IOL, and the use of perflurocarbon liquid (PFCL) to float the plate-haptic IOL to the iris plane, which can be a nice technique to remove these unwieldy IOLs when forceps alone will not do the trick. This was a difficult case handled with extreme skill; young surgeons take note. Two surgeons, Mayank Bansal, MD, and Jacob Chacko, MD, demonstrate expert removal of two subretinal cysts in a patient with cysticercosis. 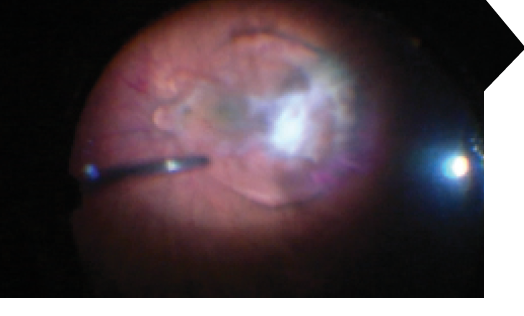 One cyst with subretinal and preretinal components is removed with gentle aspiration. The other cyst is entirely subretinal. A retinotomy at the apex of this cyst is created, after which a soft-tipped cannula is used to aspirate the cyst into the preretinal space. Laser demarcation is performed to surround these regions, followed by air-fluid exchange using these retinotomies for drainage followed by placement of oil tamponade. These cysts are alive! If you ever encounter one of these in the OR, you will notice movement of the cyst when approaching it with the light pipe. Be sure to view this one in 3-D for the full experience. 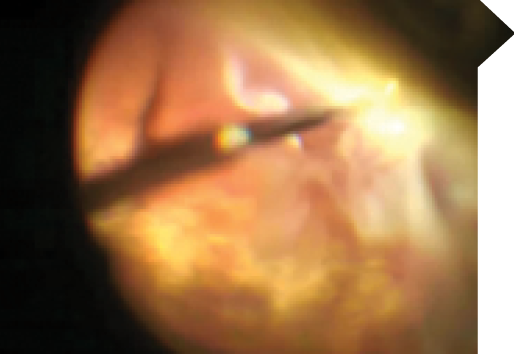 John Kitchens, MD, repairs a total retinal detachment secondary to a break at the base of a scar in a patient with a history of toxoplasmosis. He first performs external drainage in order to settle down the retina, then he uses forceps to peel proliferative vitreoretinopathy (PVR) membranes, followed by endolaser application, then tamponade. Dr. Kitchens highlights the effective use of external drainage at the time of vitrectomy; this can be a useful technique in eyes in which there is concern for recurrent PVR if an internal retinotomy is created. This video was filmed during live surgery at the 2017 FLOREtina meeting in Florence, Italy, with Donald J. D’Amico, MD, moderating. 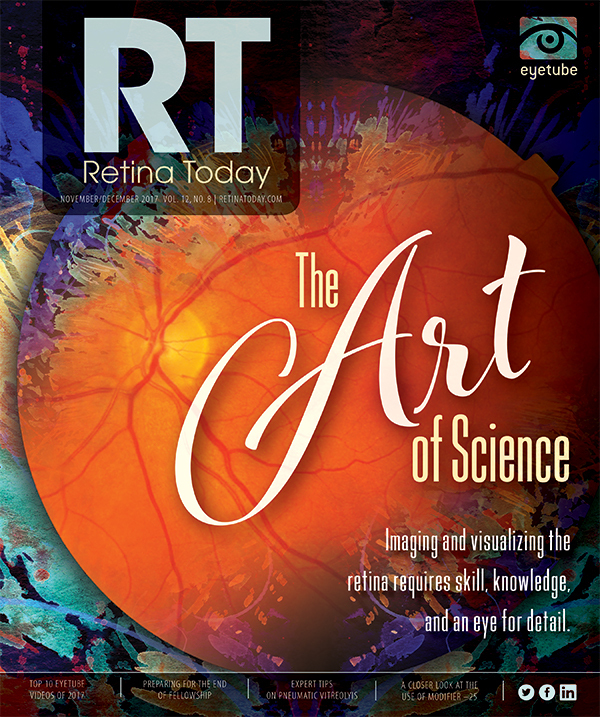 In it, Marco Mura, MD, tackles a complicated tractional retinal detachment in a patient with advanced proliferative diabetic retinopathy without significant panretinal photocoagulation (PRP). 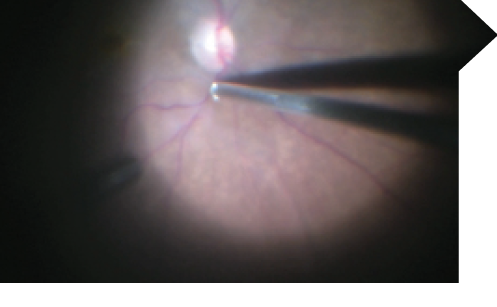 This patient had received an intravitreal anti-VEGF injection 2 days before surgery. Dr. Mura employs chandelier illumination and a bimanual technique with end-gripping forceps and curved scissors. Such an approach is often necessary in these eyes with atrophic retina with tightly adherent membranes. Keeping the scissors closed, Dr. Mura uses them to create a cleavage plane for a densely adherent fibrotic plaque. A complete air-fluid exchange is performed, and drainage retinotomy for the chronic subretinal fluid is deferred because the traction has been relieved and no iatrogenic breaks were created. If there is no break at the end of a diabetic dissection and adequate PRP can be administered, there is no need to place a long-term tamponade such as silicone oil. Wait it out, the fluid will go away, but if chronic this may take months. The viewer benefits here from the play-by-play commentary and questions from attendees. Consider checking out the other videos from FLOREtina on Eyetube as well. The Ngenuity 3D Visualization System (Alcon) is great for teaching fellows and engaging the OR staff. It may be better for surgeons’ backs, but not their necks if the 4K screen is set up off to the side. What about the patient’s eye? Given the ability to digitally manipulate the images, it may be possible to use lower light settings to reduce the risk of light toxicity, as Thomas Aaberg, MD, explains, particularly in cases in which ICG dye is used. In this video, Shobhana Mange Sharma, MD, performs fovea-sparing ILM peeling for a patient with foveoschisis and sensory detachment with outer lamellar hole secondary to an optic pit. After a posterior vitreous detachment is induced with the aid of triamcinolone, the ILM is stained with brilliant blue G dye, and ILM forceps are used to perform a pinch-and-peel technique in a petal configuration around the fovea. The pit is then plugged with the removed ILM, endolaser is applied to the papillomacular bundle adjacent to the optic pit, and gas tamponade is placed. Some authors have suggested that PPV with gas tamponade alone may be all that is needed to treat such cases, and there may be a risk of macular hole formation with ILM peeling, which is partially mitigated with a fovea-sparing peel. What is your approach to optic disc pit? Comment after you watch the video on Eyetube. Children are not just small adults; the pars plana in pediatric patients may not be fully developed, and this can influence cannula placement. Additionally, the lens can be proportionally larger than in an adult eye, affecting how instruments can be used to reach the contralateral side. Furthermore, the hyaloid is often down, and the risks and benefits of hyaloid removal must be carefully considered. Audina M. Berrocal, MD, and Linda A. Cernichiaro-Espinosa, MD, perform vitrectomy in a 4-year-old patient with leukemia and macular hemorrhage using a 27-gauge platform. They use the vitrector to peel and reflect membranes overlying the macula, and the hyaloid is then separated around 360˚. This video highlights the use of the 27-gauge cutter for macular work, dissection, and peeling of membranes. Clinical series indicate the importance of removing the hyaloid, epiretinal membrane (ERM), and potentially even the ILM in these cases to prevent future macular ERM formation, which may cause visual morbidity and potentially require repeat peeling in a young child. Dr. Berrocal is developing a new pediatric 27-gauge platform with a twin duty cycle cutter in collaboration with Dutch Ophthalmic Research Center. We look forward to seeing this new platform in action. This concludes our roundup of choices of the top 10 Eyetube videos of 2017. Submit your own video today—on Eyetube or Eyetube3D—and share your tips, tricks, and interesting cases with colleagues around the world. • second year vitreoretinal surgery fellow, Wills Eye Hospital, Philadelphia, Pa.
• vitreoretinal surgeon, Mid Atlantic Retina; assistant professor of ophthalmology, Thomas Jefferson University, both in Philadelphia, Pa.